A psycho educational program on life coaching & the prevention of High Risk Behaviours in pre adolescence. OPAP Sports Academies program aims to bring children close to sport, to inspire young people the ideals of sport and noble race worths, to improve the attitude of parents towards sport and their child emphasizing the importance of supporting and adopting balanced eating habits helping to maintain the health of children and to improve their athletic performance. The program involved 125 Amateur Football Associations, members of Local Football Clubs Associations, with a total participation of 10,000 children aged 7-10 years and 450 coaches from all over Greece. 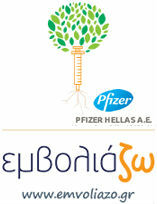 The Greek Society of Adolescent Medicine, involved with scientific staff in the implementation and support of the program. Scientists from several specialties (pediatricians, nutritionists and psychologists) are responsible for the educational and scientific support to the program through training seminars, editorial in the program site (sportsacademies.opap.gr), festivals sports academies and individualized intervention through the site communication platform. At the same time, speeches made in 125 sports academies from pediatricians, psychologists and nutritionists-dieticians on "Child and Health-Sports-Nutrition".